To design a world headquarters representative of Capital One’s corporate culture and that also serves as a recruitment and retention tool. The design of the new Capital One world headquarters reflects the company’s innovative leadership in the world of banking and finance. 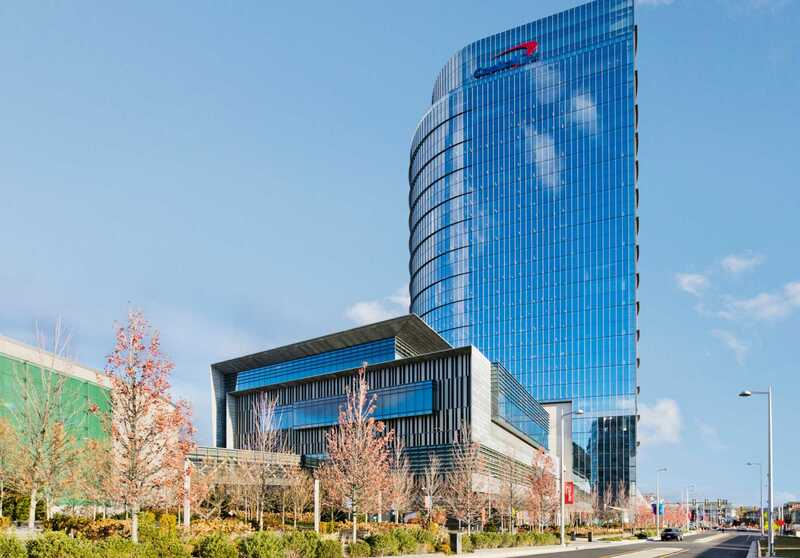 The distinctive airfoil shape of the all-glass tower provides an ever-changing impression, symbolizing Capital One’s forward thinking and entrepreneurial spirit. The tower is accented by stacked two-story collaborative spaces on opposing corners, drawing attention to the building’s soaring form rising from an articulated podium that includes a series of elevated landscaped terraces. Inside, a dramatic six-story lobby with terraced balconies greets visitors and connects the tower to the sky lobby and conferencing floors of the podium. The scale and materials of the mixed-use podium relate to the urban character of the site while the landscaped plaza offers public gathering spaces for both quiet gatherings and outdoor performances. The new Capital One World Headquarters will be the first new building in this new urban neighborhood of Tysons Corner. 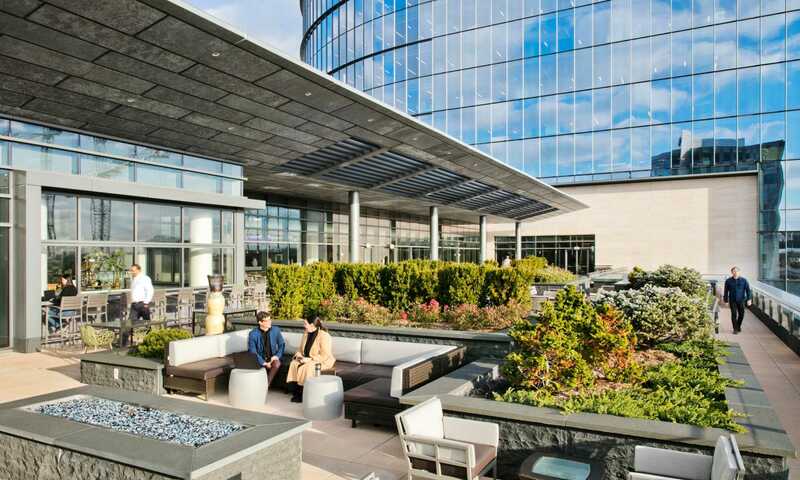 Located at the Silver Line transit station, the mixed-use development is a catalyst for transforming Tysons Corner into a sustainable, walkable urban center and helping it become one of the region’s most desirable neighborhoods. 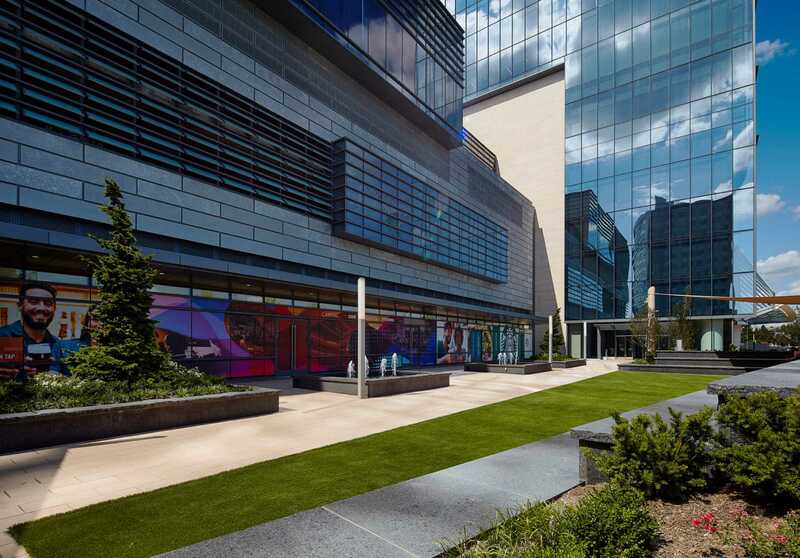 The new tower, which overlooks the Capital Beltway, consolidates the firm’s 1,800 district-area employees and facilitates Capital One’s strategic plan for future growth. The project is LEED Gold Certified.